The all new iPhone 4S is an Apple product and it is the brand new phone from the Apple’s iPhone series. It comes with all the latest features including the 3G technology. There are lots of great applications available on this mobile phone. iPhone contains a very wonderful and rich user interface with the large touchscreen and its iOS 5 gives a unique identity to this mobile phone. Here is a list of 3 cool and very interesting applications for iphone. 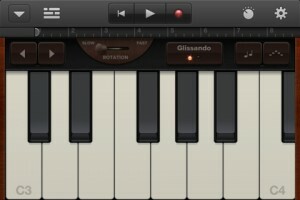 GarageBand app is a very cool application for your iPhone. This application is basically made for the music lovers because it can turn your iOS device into a great musical instrument, with the help of this music application you can play guitar and keyboard on your iPhone, and also the application teaches you how to play guitar and keyboard with proper instructions. The price of this application is $4.99, and this application is easily available on Apple’s store or any third party website. As you all know that Amazon is famous for online purchasing; they sell all type of products from books and movies to technology. Now with the help of this application you can buy anything with your iOS device. 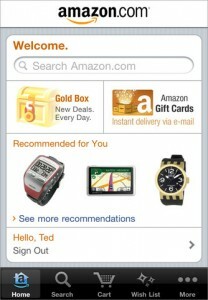 Amazon Fresh provides you Amazon’s secure servers to make your purchase. This application also provides you the facility to scan barcodes to find your favorite products and order them quickly. You don’t have to pay anything for this application, it’s totally free of cost, and this application is easily available on Apple’s store or any third party website. 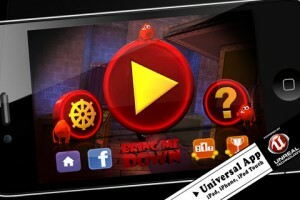 Bring Me Down iphone game app is a very interesting gaming application specially designed for iPhone. This game has very good looking 3D graphics and a friendly interface, but the problem with this game is, it’s too difficult to play. This game is very tough. In every stage of this game you are tasked with annihilating a stack of blocks to the lower character to the floor below. So it’s a very interesting game and you have to give time to play this game. The price of this game is $1.99, and this application is easily available on Apple’s store or any third party website. So these are the 3 most exciting applications for the iPhone and all of them are easily available on the Apple’s store and other third party Software and application website. Some application is paid and some free of cost, so download all of them and make your iPhone a fun game player. About the author: Rebecca is a blogger by profession. She loves writing on luxury and technology. Beside this she is fond of cell phone. These days she is busy in writing an article on latest gizmos.